Barbara Hopperstad received her master’s degree in Counseling and Psychotherapy from The Adler Graduate School in Richfield, MN in 2006 and her bachelor’s degree in sociology from Macalester College in St. Paul, MN in 1976. In 2008, she completed a 13-month, 400 hour Coaching program. Through this program she became a certified master practitioner of humanistic neuro-linguistic psychology and a certified master hypnotherapist. Hopperstad has also been certified in Levels I & II of Reiki. She is a Mind-Body Coach in the Pre-Hospital program at the George Institute, teaching people skills and techniques to help them manage issues such as pain, anxiety and nausea. 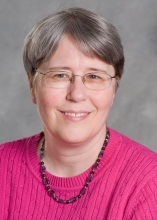 In her role as a Business Analyst, Hopperstad uses the skills developed during a 30 plus year career in Information Systems, to build, maintain and enhance research and operational databases for the Institute.